About a year ago, our beautiful Trish Harwood, had hernia surgery. Soon after, during recovery, she became dehabilitatingly sick. She began vomiting everyday, having cramps, diarrhea and severe pain. The symptoms have grown to include blurred vision, ear ringing, racing heart, fatigue, headaches, weight loss and chronic inflammation in the mesh site. In addition, she has been dealing with numbness in her lower region, due to a nerve being cut during the operation. 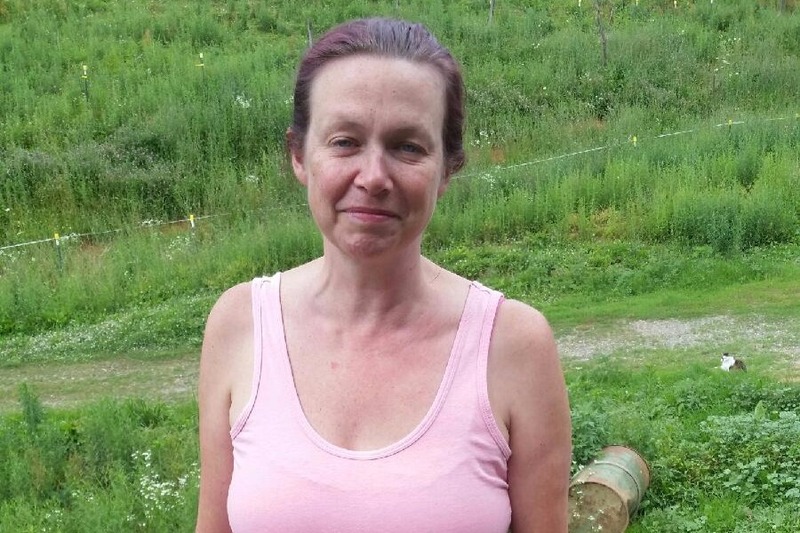 She has been to 7 doctors, including a recent visit to Duke, been given multiple medications and nothing has worked to lessen the pain or reduce the symptoms. It has been discovered, that bacteria is attacking and eating away at the mesh, causing Trish to be slowly poisoned. The doctors, she has been to, either are unwilling to operate or are unsure of how to proceed. Trish has been doing massive amounts of research and has found Dr. Peterson, a surgeon in Las Vegas, whom she has spoken to and consulted with. He is willing to perform the surgery and remove the mesh. He says that after the surgery, her pain and all the symptoms will be gone and the nerve that was cut, should begin repairing itself. She will be in recovery for 6 weeks and then should be back to a normal fully functioning life! The surgery is a no insurance surgery and will need to be paid in full. $9,100 covers the surgery and the 3 day outpatient stay. And she will need $2,900 for travel expenses. As soon as we can raise the money, the doctor will fit her into the schedule! Please help me give Trish, her life back. She is one of the hardest working people I know, generous and loving and would move mountains to save me if I was in the same place. Every little bit helps, so please help to give Trish this needed surgery. Thank you from the bottom of my heart for contributing to save her! Fantastic News!!! Trish is out of surgery already!! Took only 45 minutes and she is on her way to a full recovery!! She is feeling better than she has in months and is even eating animal crackers right now! She has a little numbness in her leg, which is to be expected and will fade. She sounded absolutely fantastic and very excited to be out of surgery and feeling good!! YOU ALL made this happen. You helped create a miracle, thank you from the bottom of our hearts for making this happen!! You all have done it!!! Thanks to your incredibly amazing love and generosity, we have reached our goal. You all have saved our Trish!!! Words cannot express how truly incredible you all are, we would not have been able to get Trish into surgery without every single one of you. This has been the most amazing act of love, kindness and generosity that I have ever seen. Thank you from the bottom of my heart for making Trish's surgery possible, without all of you, it would not be happening. You are all life savers, quite literally!!! Just wanted to give everyone a update. 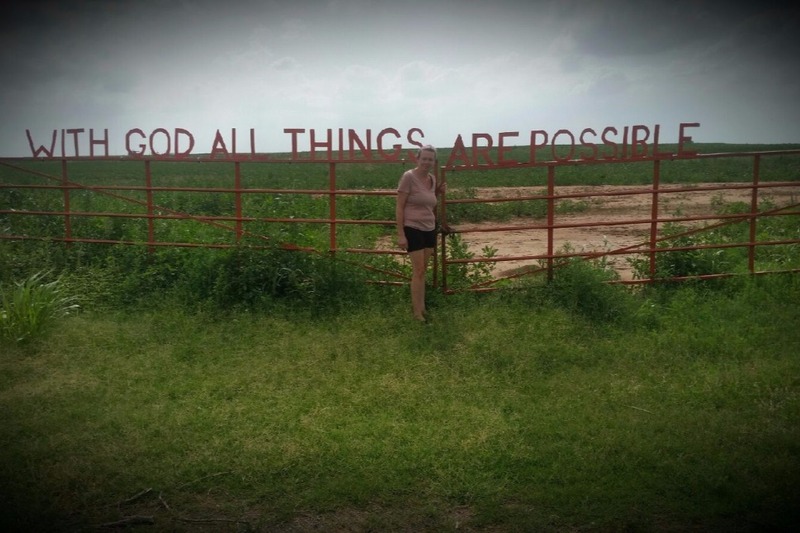 I spoke with Trish today and they are currently in Oklahoma, where Trish and Jeremie found this amazing sign. I want to thank everyone who has donated and spread the word about Trish. Couldn't have gotten this far without all of you! Your generosity and kindness is incredible. Thank you from the bottom of my heart for helping save our Trish! She has her pre surgery appointment on the 9th and her operation on the 10th. She needs to have payment on the 9th and it takes two business days for the money from go fund me, to go into her account. So hopefully we will have the needed surgery funds by Wednesday. Again, thank you all for your amazing kindness and caring , for giving Trish her life back. Words cannot express how truly grateful we are! You are all appreciated beyond words! Just wanted to update everyone on Trish. She has gotten sicker, so she and Jeremie made the decision to start the trip out to Las Vegas so the doctor can see Trish sooner. We have raised $4,325 so far, the bottom line needed for the surgery is $8,900. Trish and Jeremy have absolute faith that we can reach that goal by surgery date. As I am typing this, they are currently nearing Knoxville, Tennessee on route to Las Vegas. It is slow going for them because Trish is so sick, they have to stop every little bit. Doctor is very concerned because just in the last few days, she has begun to throw up stomach bile. Please everyone share this and let's get Trish this surgery she needs badly. We love her and hate to see her like this. We can save her life! Please help, every little bit gets us closer to our goal!! !